CleanseRx®: Flush Out The Waste And Lose Weight Through Superior Digestion? Home » Detox » CleanseRx®: Flush Out The Waste And Lose Weight Through Superior Digestion? ***Please note CleanseRX is not a cure for cancer but it will help keep your colon healthy. In other words, the phytochemicals in high fiber foods—also play a significant role. Now, consuming additional fiber is still a good idea… after all, there’s more to good health than just preventing colon cancer. According to a summary by the Harvard School of Public Health, high fiber diets are linked to lower risks of heart disease, type 2 diabetes, diverticular disease and constipation. They can help with weight loss, too. The important thing to note, however, is that we’re talking about DIET. The science supports consuming fiber from foods like vegetables, fruits and whole grains—which also contain other nutrients important for good health and disease prevention. On the other hand, there’s no evidence that any of the above health issues can be solved by taking CleanseRx®—or any other laxative/fiber “cleansing” supplements. So much for cleansing. Constipation IS uncomfortable, but it’s hardly life-threatening. And relieving it may help you feel better, but there’s no evidence that it can “speed up metabolism,” “prevent weight gain and enhance weight loss” or “enhance liver function” as the CleanseRx® site states. The list of ingredients confirms this. CleanseRx® has two components: “Phase I” and “Phase II”—both of which are quite ordinary. Psyllium, the common fiber supplement found in Metamucil, and cereals like Kellogg’s “All Bran” Bran Buds. It also contains senna, magnesium oxide and magnesium carbonate (all well known laxatives). Magnesium oxide “may be used as a laxative for short-term, rapid emptying of the bowel.” Also present are two antioxidants (vitamin C and lemon bioflavonoids). Phase I is, in effect, a simple fiber / laxative supplement. There’s nothing here that you can’t obtain for much less money at your local drug store. And there’s nothing miraculous about its effects, either. If you’re constipated, or your fiber consumption is low, there’s no doubt it will make you “go” more often. Metamucil or All Bran BranBuds will accomplish exactly the same thing. Again, the benefits are frustratingly vague. A “healthier” colon? By what measure, exactly? It’s not like there’s any way to verify this for yourself. The retailers claim Phase II will prevent the waste eliminated with the use of Phase I of the product from accumulating again. Of course, since the claim of waste build up is baseless, this claim has exactly the same credibility. So what’s in Phase II? A complete amino acid profile (this is obviously a protein supplement—looks like soy protein by the amino acid profile), an average vitamin and mineral and blend, a sprinkling of digestive enzymes and probiotics, more psyllium, and a dash of a few other ingredients (present in doses much too low to elicit any effect). Nothing earth-shattering here either, unfortunately. And while no one is going argue that the occasional supplementation with either digestive enzymes or probiotics may be useful (witness all the yogurt commercials on TV these day! ), they are not going to help you lose weight or make dramatic effects on your overall quality of life. Most evidence, for instance, shows that probiotics are most helpful for the treatment of diarrhea and possibly Crohn’s disease and IBS (irritable bowel syndrome). So let’s sum this product up. None of the claims for CleanseRx® have any basis in reality or credible science. That does not mean this product is valueless, however. It does provide fiber and laxatives, probiotics, digestive enzymes, and a bit of protein. However, this doesn’t necessarily mean you actually need an expensive supplement to get any of these things. For instance, if your diet is already high in fibrous fruit, vegetables, legumes, and cereal grains, you don’t need a fiber supplement. If you do need fiber, it’s unlikely you also need a laxative; most people will experience dramatic increases in “regularity” without one. If you eat yogurt semi-regularly and haven’t recently undergone a cycle of antibiotics, you probably don’t need a probiotic either. And the benefits of enzyme supplementation? Unless you are suffering from a condition resulting from an enzyme deficiency of some sort, clinical evidence validating the benefits of regular supplementation is in short supply. This sort of “cost-benefit” analysis is important…especially when you consider the cost involved! Let’s determine the true value of this product, by comparing it to similar, readily-available products. The CleanseRx® system (a month’s supply each of Phase I & II) costs $79.99. 1 box (100 tabs) of senna costs about $11. Two tabs per day will approximate CleanseRx’s dosage, and this will last you just under two months. Probiotics vary in cost but you can buy a decent product for under $10 (100 caps). Each cap contains 10 X the amount of probiotics found in CleanseRx®, and a single bottle will last you 75 days. 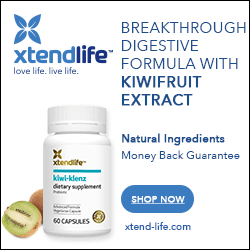 A month’s worth of a high quality digestive enzyme blend can be had for under $9. Are you with me so far? We’ve far exceeded the potency of CleanseRx®, plus we’ve got enough product to last for twice as long (keep in mind that laxatives should not be used over the long term, so in reality two month’s worth of product is, in fact, much more than that). If you wanted to approximate the amino acid profile also present in this product (unnecessary since its effects on “colon health” have not been demonstrated) you could throw in a 1 lbs. jug of soy protein for $8 and take half a serving per day (30 days worth). Total investment for all this stuff so far? $48! At the end of the day, what’s the “take home” lesson here? CleanseRx® is in essence, an extremely overpriced and under-dosed fiber, laxative, probiotic, protein and digestive enzyme supplement. As you can see, you can buy much more potent doses of all the ingredients for much less money. And while some of these ingredients certainly offer some degree of benefit, none of the claims made by the retailer have any scientific credibility. Is this a product you really want to spend your hard earned money on?